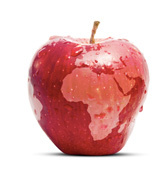 What is International Cuisine and where did some of your favorite foods come from? Have you ever wondered? Believe it or not another name for international cuisine is fusion cuisine. It’s basically mixing elements of regional traditions. Let’s take a look at a few while talking about what is international cuisine. And while we are at it determine if it fits into a healthy fit life or not. This is one of the few American favorites that is eaten hot or cold, night or morning. Come on! You know you have eaten cold pizza for breakfast at least once in your life, right? 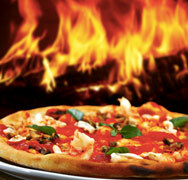 The early Greeks originally created pizza as flat bread topped with oil, herbs and spices. The modern pizza as we know it made it’s way to Naples in the 18thcentury with the introduction or the traditional red sauce we know today. Is it a fitness food? Well you probably know what I am going to say. A hand tossed pepperoni pizza with garlic sauce (butter) along the crust, uhhh NO! This certainly fits into what is international cuisine but not what is healthy and fit eating. However, what about a whole wheat crust or pita bread topped with low sodium pizza or tomato sauce, shredded chicken, chopped spinach and a light hand on the FF mozzarella or feta cheese? Yes! It was the Native Americans back in 3600 B.C. who realized that corn kernels could pop when heated and that they are tasty. I know that this doesn’t seem like it fits into “What is international Cuisine?” but it does since it is defined as local and regional international cuisine. But is this a healthy fit food? Yes! In moderation it is and not from the bags or movie theater. It is full of fiber and healthiest when air popped or cooked on top of the stove. 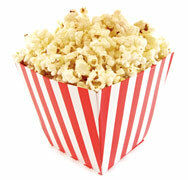 But take note, 2 ½ cups of air popped kernels has 70 calories and 16 grams of carbs. When you decide to sit down to watch a movie with your popcorn, the cups add up quickly in an hour and ½ movie. You will probably find this one in your international cuisine cookbook as an ingredient to yummy famous ethnic recipes such as Tiramisu, an Italian dessert. However, the origin of coffee is found within an Ethiopian legend. A goat herder supposedly noticed his goats getting very spirited after eating the berries from a certain bush. He reported what he had found to a local monastery. The monks mixed the berries into a drink and found that it kept them alert and awake during long prayer times. Thank you Mr. Goat Herder! You see coffee has a substance called caffeine, which is used in many expensive thermogenic fat-burning products on the market. It acts as a stimulate and increases metabolic rate thus aiding in revving metabolism, burning more fat and calories, giving you more energy AND keep you alert! 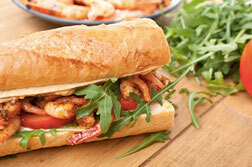 These subs are traditionally made with fresh lightly toasted French bread. The inside is filled with a mayo, mustard, coleslaw and your choice of usually deep fried shrimp, fish or oysters. Believe it or not, this CAN be healthy as well. The secret is really in the crusty French bread. Use Whole Wheat French Bread and dig out a good bit of the inside. Use light mayo and mustard and fresh romaine lettuce and tomatoes. You can season as much as you like to spice it up. Use grilled shrimp or fish instead of frying. Let’s be honest…it will no doubt be a substitute but it comes with no guilt! As I have said over and over, you can take just about anything and create a healthy version. Eat healthy and live long!